Q: What control panel is offered with our hosting packages? :: We offer Linux Accounts with Cpanel hosting in it. Q: I have purchased a skillvent hosting plan successfully. Still my site is offline. Why so? :: This usually happens because you have not pointed your nameservers correctly. Go to your domain control panel and point your nameservers to ns1.skillvent.net and ns2.skillvent.net respectively. Q: How do I log into my hosting control panel (cPanel)? :: You can do so by logging into http://­login.skillvent.net/ or you can also visit skillvent.net and go to cpanel login. Q: Can i pay monthly for the skillvent hosting pack? :: Yes. off coarse! You can pay monthly to ensure the quality service. Q: Do you support PHP? ::Yes, we support PHP , MySQL. and all other languages supported by Linux hosting. Q: Do you support webmail? :: Yes, we support webmail. You can login into your webmail using: http://­www.yourdomain.com/­webmail/ Please include your full email address as the user name. Q: Will you place ads on my site? :: No, we do not place any forms of advertising on your website. We provide full premium hosting with quality service. Q: Do you have 24/7 support ? :: Yes. 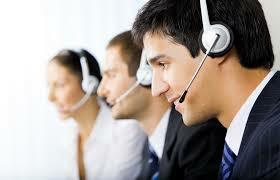 We have Online Helpdesk (Ticket System). Also you may call us at our 24/7 helpline +91-9807161234. Please check out our Support Page. :: We accept all types of major credit cards, netbanking, debit card, visa card, master card, IMPS, Direct bank transfer, NEFT. If you still have further questions regarding payment methods contact us. Q: Where are our servers located? :: Our servers are located in Missouri, USA. However our Office is located in India.